Our website provides you with the independent reviews of weight loss products such as diet supplements (both prescription based and OTC), weight loss programs, fitness workouts and more. We also shares free tips, advice and investigations about weight loss and related topics. With the hundreds of diet pills brands availavle on the market today, both in your local stores and online, it's very hard to make the right desicion on which supplements are worth using and which are not working. Marketing tactics used to promote these products are varied and very sophisticated, and in many cases you are blinded by the hype and promises, while the product in question may just be as useless as sawdust. As a team of fitness and nutrition experts and enthusiasts, we are capable of identifying the true "face" of each dieting product by applying our extensive research of it's history, ingredients, safety, customer feedback and marketing tactics used to promote it. HI, Stanley here (38 y.o.,born in Scrampton, UK). Here're my Facebook Profile, ​Twitter and ​​Google+ Profile. I've started my career in fitness, muscle building and overall healthy lidestyle after being not a healthy person at all. I've used to drink lots of beer and other alcohol, and my eating habits were beyond awful. After noticing how ​thes​​e bad habits affect my health in a very negative way (excess fat, massive waist line, heart problems and panic attacks) - it was time to change the whole approach to how my body functions. I've learned a ton of scientific books on dietology, muscle growth, hormonal optimisation and many more.By taking proper actions, I can now boast of slim and shredded physique, healthy testosterone, well-trained cardiovasular system and overall positive wellbeing. After analysing the internet in the supplements field, I found that this $200 billions market is filled with scams promising you the body of your dreams and all that heaven. I've started analysing various supplements (call them "diet pills") from the marketing perspective, and applying my vast knowledge to determining if each supplement works, how it works and if you need it at all in your circumstances. How We Evaluate Each Product? We look at how each new product is marketed and what marketing tactics/channels are used to present it to the targeted audience. If a supplement claims to be specifically designed to help you "shred pounds from the waistline" - it's a red flag since many people are actually looking to cut down their waistline, but they don't understand the basic principles of how fat burning works. Bam - here's a supplement for that! You go and spend money, and nothing (obviously) happens! Next, we take each formula and apply our expertise to understanding which ingredients are used and if these ingredients have a scientific proof that they may really help. Do you remember good old "acai berry" craze, when acai were called a "magic antioxidant for weight loss"? There's been a ton of mecial research since then, that showed while acai extract may act as potent antioxidant, it doesn't promote weight loss. We also scan the internet trying to find as many real customer feedback about specific supplement as possible. While some products are really of top quality and they share REAL customer results straight on official websites, this is a rare case still. A couple of "before/after" pics on the official website won't make the product credible. While real people's results shared on Amazon, Quora and weight loss forums is a good sign how of the supplement is effective. Next, we check the pricing policies of each product, places you can buy them from, and best deals available currently. Some diet supplements have really high price tags, and in SOME cases you get what you pay for. But in many other cases, high price is a result of a proper marketing campaign, and good marketing is NOT equal to good product. 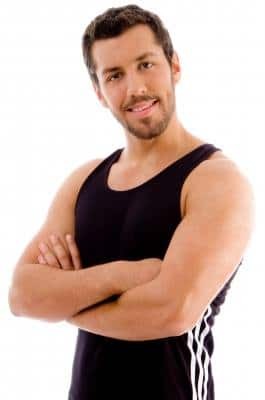 This allows us to bring you the unbiased and reliable verdicts and ratings of slimming supplements, helping you to avoid breaking your bank on ineffective solutions. If you have any questions or suggestions, please feel free to contact us here.